Odessa - a charming, colorful, old, funny, beautiful city. A real pearl of the sea! With its warmth and hospitality city called Odessa-mother. 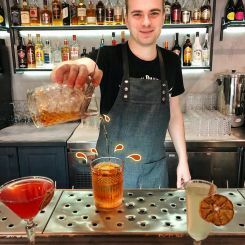 No doubt it will give you a great mood and lots of unforgettable memories. Getting to know the city better start from the Central Station, which is located almost in the center of the city. Standing with his back to the station, on the left side in the quarter from you is the main food market in Odessa - the famous "He brought" where you'll find everything, what the soul wants, but still can bargain. By market pylyahayut two parallel arranged Catherine Street and Alexandria Avenue. Walk broad avenues, amid green space will give you a good mood and unforgettable experience. Where Avenue crossing Greek Street, should turn to the left, where you will appear before a grand Transfiguration Cathedral. Here also you will see the incredible beauty of the building - Passage. Inner molding and glass rock structures perfectly emphasize refinement of its architecture. Turning to the right, outside Greece, 33 in the Numismatic Museum you can see a collection of coins and banknotes from ancient times and to the present. Catherine Street no less beautiful, it leads to the same name space, which in 1900 was set majestic monument to Empress Catherine II and her devotees: Potemkin, Zubov, ruffles and de Ribas. In 1794, under her orders Hadzhibey ancient city was renamed in honor of the ancient Greek colony Odessos, which was situated close to the city. After this small town began to develop rapidly. But let's go back to one quarter ago Ekaterininskaya street and continue to explore the city. In lane Tchaikovsky's hard to miss the majestic building - known throughout Europe Theater of Opera and Ballet. 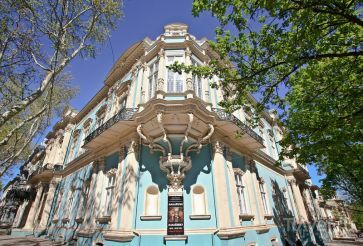 This is a real architectural jewel of Odessa. It affects not only the majestic architectural ensemble in the best tradition of Viennese baroque but luxurious interior in the style of late French Rococo. There were stars worldwide: Feodor Chaliapin and Enrico Caruso, Anna Pavlova danced and Isadora Duncan, conducted by Peter Tchaikovsky and Nikolai Rimsky-Korsakov. Each performance at the Opera House accompanied sold out. 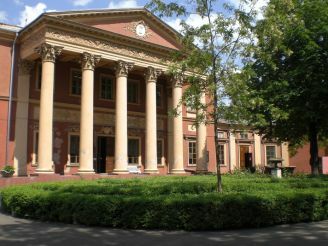 Along with the theater, in the street Lanzheronovskaya located Archaeological Museum, which contains more than 160,000 exhibits during the Northern Black Sea, Ancient Egypt and more. On the same street is a literary museum. In his twenty halls reflected the history of literature of various periods. In addition, there are held literary evenings, presentations and concerts. The Museum is adjacent Sculpture Garden, which serves humorous collection of literary characters, including Monument Odessa-mother, Odessa reader hero Odessa jokes Rabinovich et al. Street Lanzheronovskaya originated from Hávannoyi, which is a historical museum. And next immersed in greenery and flowers Garden City, one of the oldest and most interesting in Odessa. Here you can see the famous 12th chair of the eponymous novel by Ilf and Petrov. Every passer must sit on a chair and poyorzaye on it, saying it brings wealth. There is a monument to brilliant actor and director - Leonid Odessans soloist. From time to time you can feel the pleasant scents around the world single Fontana Perfume. From urban garden begins Deribasovskaya Street. This mainly pedestrian, laid cobblestone street, is an integral part of the city. Here is the first of April is known for the annual holiday - Odessa humor, because the town on the right wears a capital humor. Deribasovskaya evening, like many other street lights lit garlands and illuminations. Once there was the legendary founder of the city - Josep de Ribas, a monument which is located on this street. Locals dubbed this monument skarboshukachem because de Ribas shown there with the plan of the city and shovel. Deribassovskaya crosses Pushkinskaya street that leads to the Primorsky Boulevard. 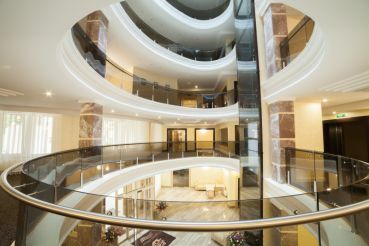 Boulevard is located on the hill and offers charming views of the Black Sea and the port.Here is the incredible beauty of the building - The City Council, which is located in front of gun frigate "Tiger" and the monument to Pushkin. Fantastic evening look Boulevard by numerous colored lights. Where Ekaterininskaja Boulevard overlooking the street, you will see a monument descendant of Cardinal de Richelieu and governor of Odessa - Duke de Richelieu. For eleven years in office he has managed to develop the city in many ways. Governor General Vorontsov erected this monument in 1828. Duke stands on a pedestal, which symbolically decorated with three reliefs devoted to agriculture, judiciary and trade. They say he touched the bag with coins, symbolizing trade, you will certainly succeed in business. We shall return to Duke, and walk a while to Vorontsov Palace, built on the site of an ancient fortress Hadzhibej. Today the buildings are groups of children's creativity. Palace complements of the former greenhouses - colonnade, which shows Teschin bridge that connects Seaside and Komsomolsk boulevards. Not far from the Vorontsov Palace is located Vidmyn house. From a certain perspective, this building seems quite flat. Let us return again to the monument to Duke, at the foot of which is the pride Odessites - Potemkin Steps. They are the ten most beautiful staircase in Europe. From the top of the stairs, apparently only ten sites. That was the idea of ​​the architect Franz Boffo. Come down and try to count how many steps actually - only 192. 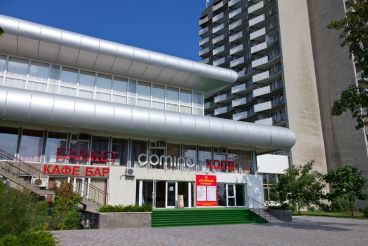 Turning Primorsk street, you'll get a view of one of the largest commercial ports of international importance - Odessa. This is a great place for a walk! Here you will find commercial vessels and cruise liners. To admire Odessa from the sea, you can take a ride on a boat, boat or yacht. Also at the seaport are several monuments, the Greek church, museum and art gallery anchors. 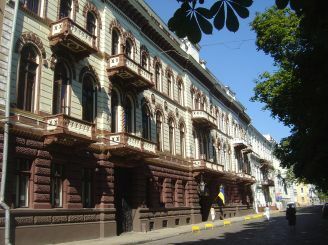 It seems that life is not enough to see all sights in Odessa, as it is rich and beautiful! Come to Odessa and you'll love this colorful city.